It’s great that manufacturers like Honda can sell hundreds of thousands of motorbikes that start every day, run for miles and behave exactly as they should. But, for some reason, we love a brand that makes brash, illogical decisions while on the brink of bankruptcy, too. 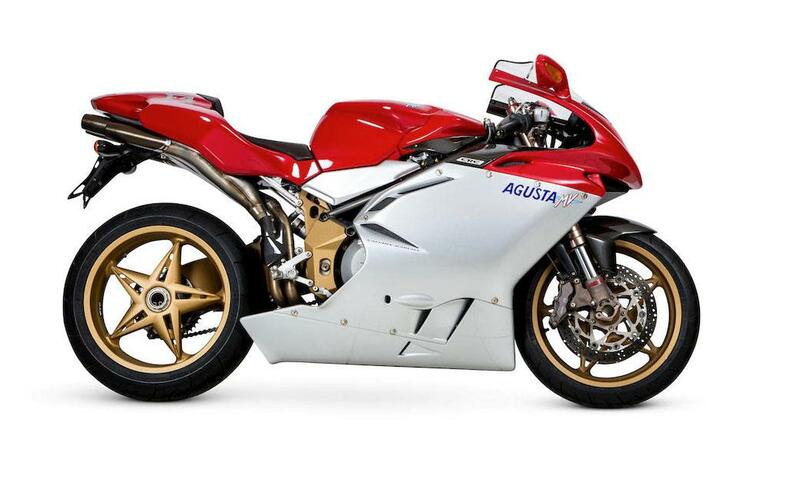 So when MV Agusta’s new owners, Cagiva announced that they would begin production of their F4 model in 1998 with a hand-built run of 300 special-editions, they naturally sold out immediately. The Serie Oro took the MV Agusta F4 Strada and upgraded the wheels and suspension, swapped out aluminium components and plastic fairing for magnesium and carbon fibre versions and then more than doubled the price. But what an incredible machine they ended up with. Numbers 50 and 150 of the run of 300 are going under the hammer with a guide price of £18k-£24k. "Representing possibly a rare opportunity to acquire one of these exotic hand-built superbikes in pristine condition, Serie Oro - both of the bikes come with an Italian registration document and an ACI Certificato di Proprieta. "Number '50' also comes with an original operation/maintenance manual and tool kit (incomplete)."